Virgin Money made an interesting annoucement yesterday regarding a new partnership with Virgin Atlantic. It was suitably vague, but clearly important enough to justify a press release and inclusion on their website here. The first thing worth noting is that Virgin Money already has a close relationship with Virgin Atlantic’s Flying Club. We often write about the generous offers available for opening a stocks and shares ISA with Virgin Money – until 31st July, you’ll receive 8,000 Flying Club miles, as per this page. They also did a trial of a money transfer offer which earned 3,000 miles – we wrote about it here – although this deal isn’t currently running. Slightly oddly, you can also apply for the Virgin Atlantic credit cards via the Virgin Money website – even though the cards are issued by MBNA and not Virgin Money, and Virgin Money is basically persuading people not to apply for its own products! MBNA’s licence to issue American Express credit cards has ended, so the Virgin Flying Club credit cards will need to be relaunched anyway when the current contract expires. I am assuming that MBNA loses this contract which will be a blow, as it must be many times the size of their United, Lufthansa, Etihad or Emirates deals. I imagine Virgin Money will become the new issuer of a Visa-only or MasterCard-only Virgin Flying Club credit card. I stress that all of the above is speculation on my part. I would be surprised if there was anything done with current accounts or mortgages – these have never been successfully linked to loyalty schemes in the past due to low margins and/or a core focus on price rather than rewards. 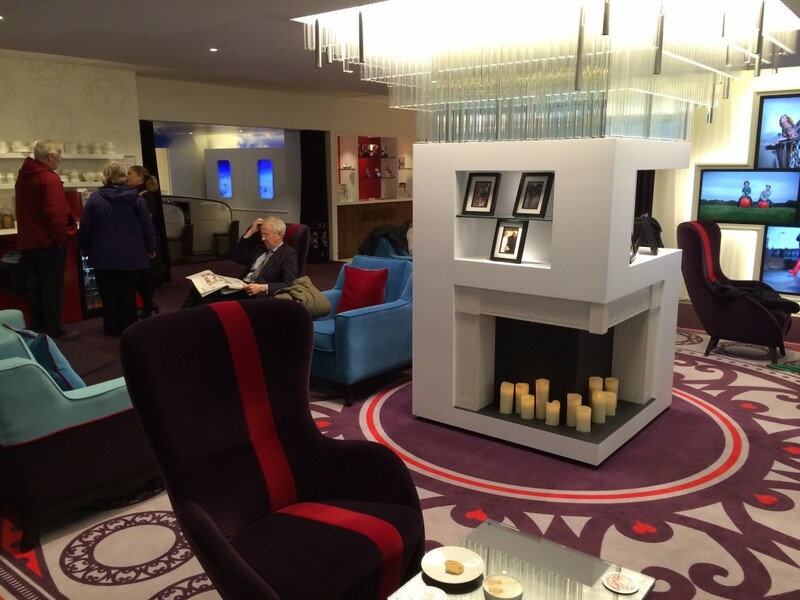 Tell me more about Virgin Money lounges ….. These are surprisingly pleasant. As I have a Virgin Money ISA, I get access and you will occasionally find me working out of the one in Piccadilly. It is halfway between my house and the HFP office and makes a good base before or after a West End meeting. Here is a 2014 article I wrote on it. This is quite a novel idea. They are, basically, like very pleasant airport lounges. They are more leisure focussed than the Regus business centre lounges I have discussed on here before – you don’t get a piano at Regus! 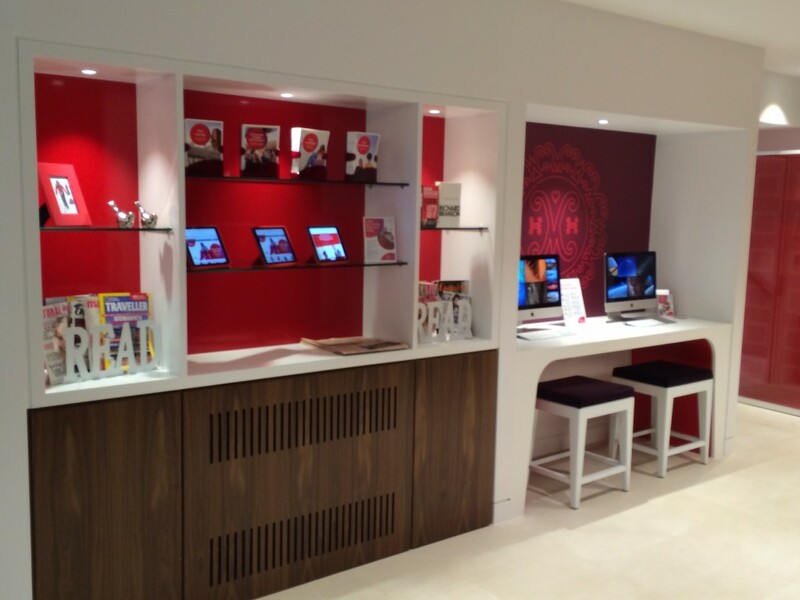 Neither is Regus open at the weekend – the Virgin lounges are open seven days a week. You can visit if you have any sort of account with Virgin Money, although you need to register in advance here. On your first visit, they will (on sight of photo ID and proof of your account) give you an access card. You can bring in guests without problems. Note that these are NOT bank branches. You cannot undertake banking services even if you want to, and there is absolutely no attempt to sell you anything whilst you are there. This is the ‘library’ bit. In an impressive move, you can take an iPad from the shelf and use it for browsing whilst in the lounge. (There is also free wi-fi for your own devices.) There are 2 Macs as well as you can see, along with newspapers and magazines. Here is the oddest bit. 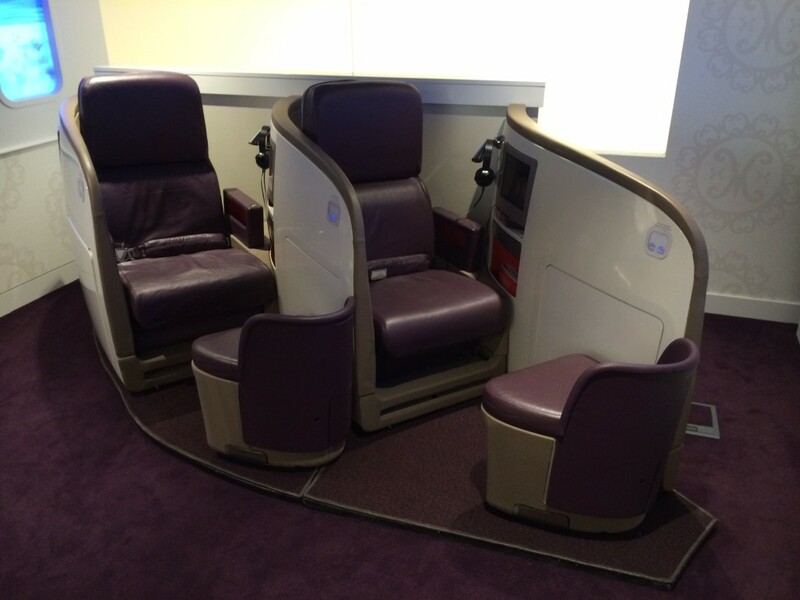 Here are a pair of fully functioning Virgin Upper Class seats! The clever bit is that the TV monitor has been replaced with an iPad, so you can turn the seat into a bed and surf away to your hearts content! It is not a bad perk. If Virgin Money begins to issue the Virgin Atlantic credit cards then cardholders would get access anyway, but I wouldn’t be surprised if – as part of this new partnership – Virgin Atlantic Gold, and possibly Silver, status card holders are allowed in anyway from 2018. Let’s see. Am looking to transfer my Tesco voucher to Flying Club miles. Do they always give 10% bonus? For the last few quarters, but only for first time transferers.